Raj Kumar, undisputed king of Kannada film industry had been ruling the hearts of kannada Movie fans for decades . He was equally famous as a singer and won a National Award for singing as well . S Janaki holds record of sharing maximum number of duets with Kannada kanteerava Dr. Raj Kumar . As evident from the list of songs provided here , most of their duets were composed by Raja Nagendra, G K Venkatesh, M Ranga rao, T G Lingappa & Ilayaraja . SJ mentioned in her interviews that Rajkumar was friendly during recordings and was very fond of last minute additions for improvisation of songs and constantly encourgaed her in the same . That is why their songs remain for ever- as fresh as they were before 3 decades! 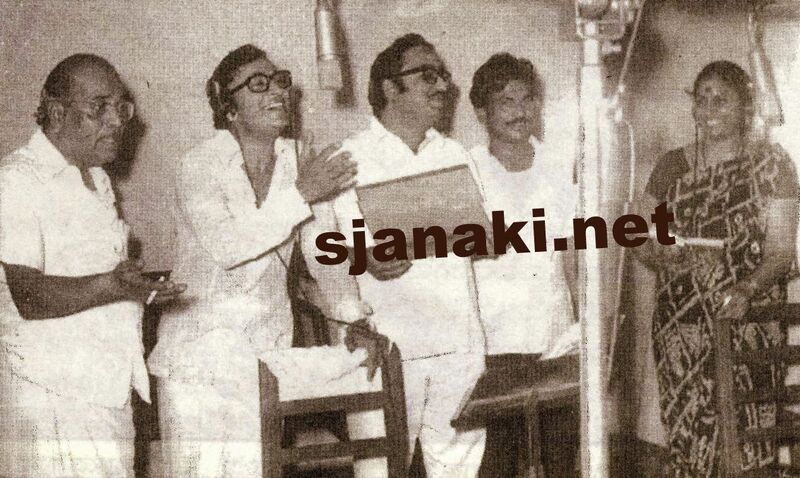 Let us play this playlist as a tribute to Rajkumar and pray for best of health for S Janaki ! Magical Duo Rajkumar-S JanakiClick Here..